Sadio Mane is in hospital and Liverpool are sweating on the results of his shoulder scan, following a mightily unfortunate collision in training. The summer signing was jaw-dropping against Arsenal, scoring on debut and providing consistent pace and dynamism down the right, looking like the winger we’ve been needed for many a season. Now, he’s injured – which seems to happen to every one of our decent players at some point. It’s relentless actually, and frustrating as hell. Fans online are naturally wounded by the news, although we stress there’s no word yet to the severity of the injury. Plenty of options to replace Sadio Mane, but the only one able to replicate the role is Lazar Markovic—and he’s severely lacking confidence. Sadio Mané is now injured? Ffs. Would’ve been cool to have a week of hope and happiness to begin the EPL campaign. Please be okay sadio mané ?? 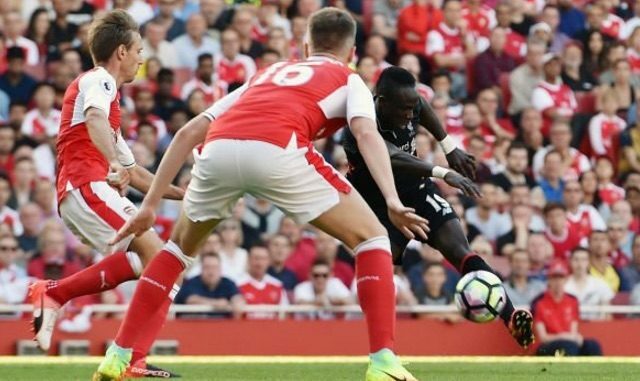 Sadio Mane injures shoulder during training – awaiting scan results.Why God??!! ???? Devastating news for Sadio Mané. He was fantastic at Arsenal- he looked like the player we had been missing. Fingers crossed its short term.